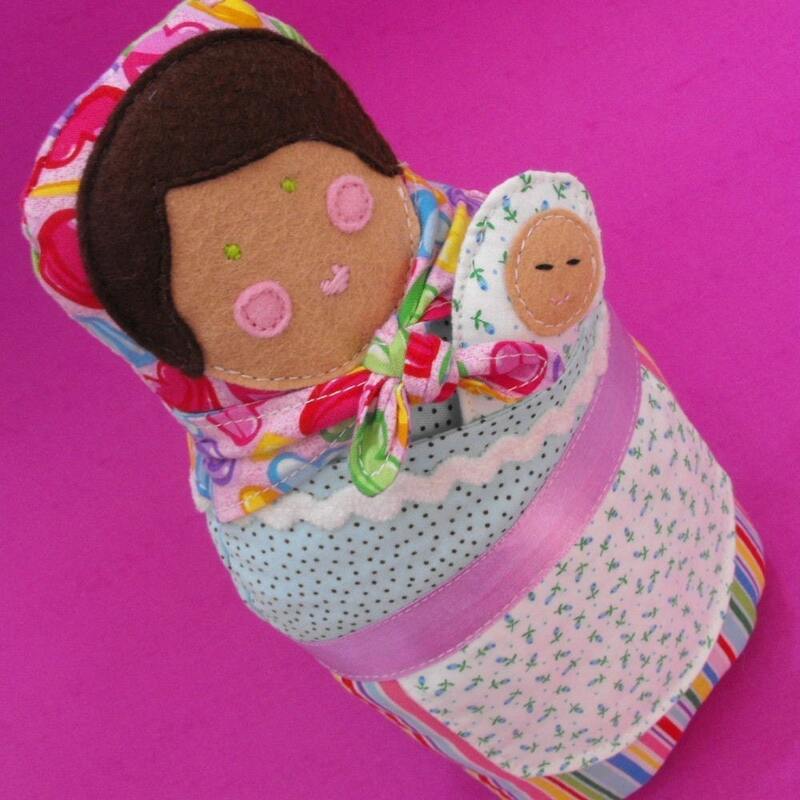 This Matryoshka mom & baby doll pattern was inspired by Russian nesting or Babushka dolls. A round Mama doll, keeping her teeny baby safe in her pouch or sling. Baby can be carried on front or back, whichever baby prefers! Matryoshka Mom - approx 10.5 inches tall when complete. This is great, can't wait to make it for my little girl. The instructions look very clear and easy to follow.